How was everyone's Thanksgiving? Delicious? Fun? More deliciousness? Yes, that's what I thought! You know how your body is 80% water (or something like that) on a regular, non-holiday season basis? My body is currently made of 80% wine and turkey. Don't make me prove it. Did I mention it was my birthday Monday of this week? Must of slipped my mind. Yup, 29. So I added to the wine and turkey coma by drowning the last year of my 20s in more wonderful treats. Once a year though, right? Speaking of my birthday, I got some fabulous gifts. Some from others and some purchased by yours truly...hee hee. Check out some of my faves - my in-laws gave me these! Oh right, it's missing my glass of wine accessory. Hee-hee. Check out Jessi's Etsy Shop where you can buy custom printed everything and have your blogged worked on. 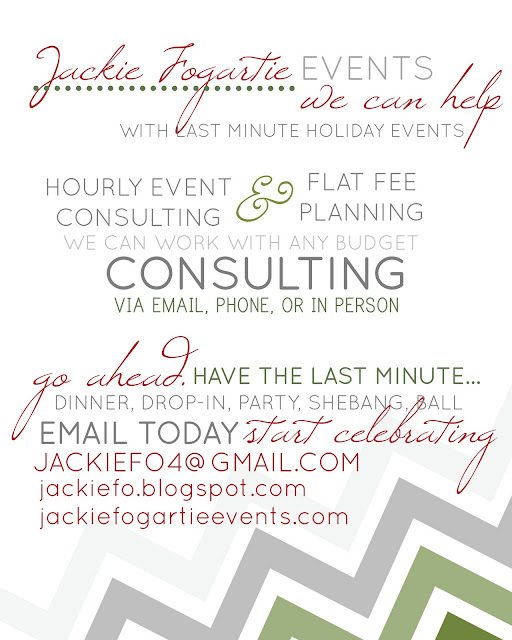 Oh, and did I mention that Jessi created my fabulous holiday e-ad below? Email me if you are stuck on ideas for your last minute holiday parties...I do email consulting, in person consulting, menu planning and of course full event planning. 1) I have 1 year until the big 3-0. Yikes. 2) I got some sweet monogrammed items for my b-day. 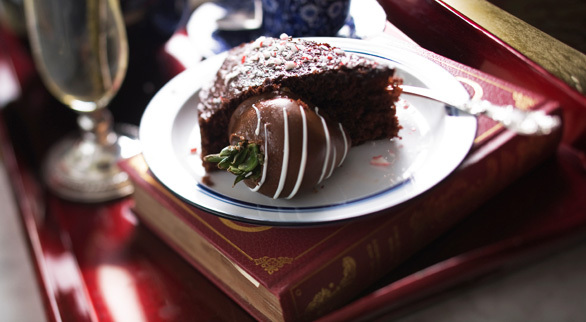 3) Entertaining with books and food is fun. 4) Jessi from Naptime Diaries is awesome and I'm slightly obsessed with her. 5) I can make your holiday party fa-la-la-fantastic. He he you are random just like me!!! Happy Birthday!!! I'll be 29 in May, right behind ya! Love the new look lady! love the new look, jackie! Love the redesign...and that ad is gorgeous. The 30s are great (or maybe I'm biased!). Happy belated birthday!